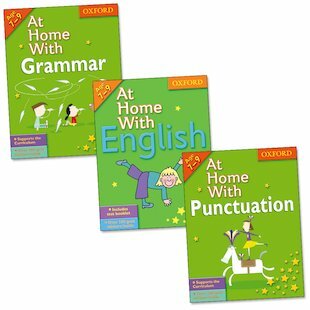 Get word perfect with a handy pack which puts great English at the tip of your tongue. Whether you’re getting to grips with grammar or perfecting your punctuation, be ahead of the game! Designed to put you in charge of the English skills you’ll need to do well in all subjects, these cheerful study books make it all so much easier! Combining simple explanations with lively activities and gold star stickers, they’re full of puzzles and fun to make sure that learning is never a bore. Make sense of those tricky English dilemmas – and help all your work to achieve top grades!